I had always yearned to visit Iceland and finally this summer I was able to make the trip. 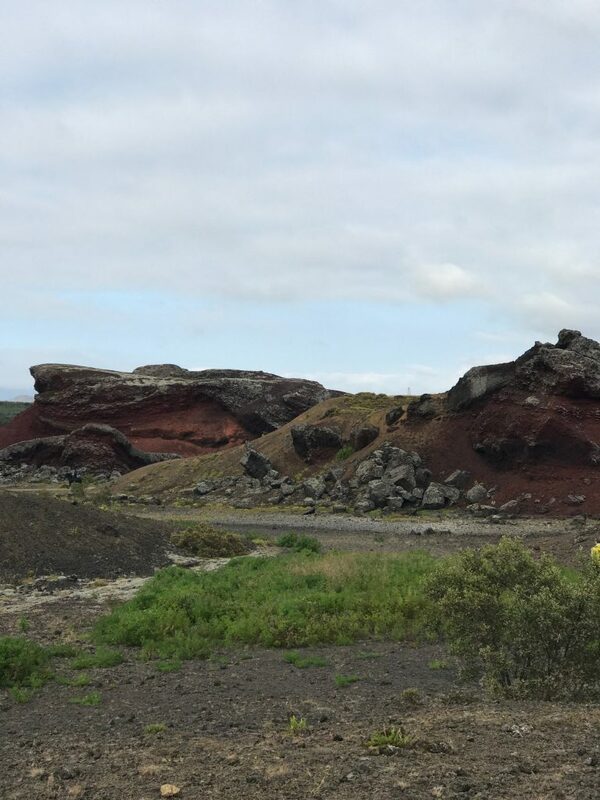 I longed for lava fields and moon-like landscapes and the trip didn’t disappoint. 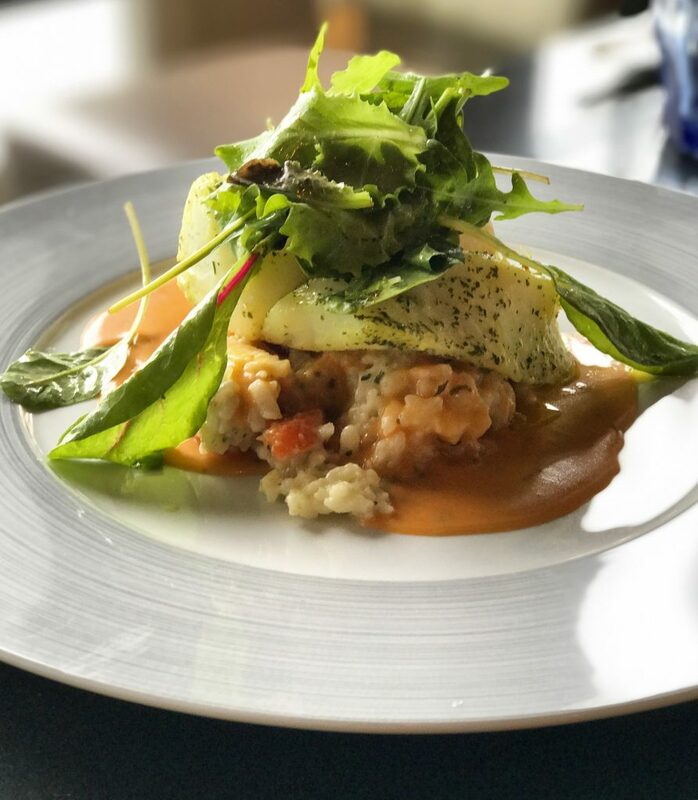 We landed in Reykjavík, the countries capital and largest city, and upon arrival Lindblad Expeditions, whom I was traveling with, whisked us off to a small restaurant situated by the sea to start the day. The flight to Iceland from New York is a hop, skip, and a jump (or a mere 5 hours), so quick enough to return frequently, but not quite long enough to get a good night’s sleep. 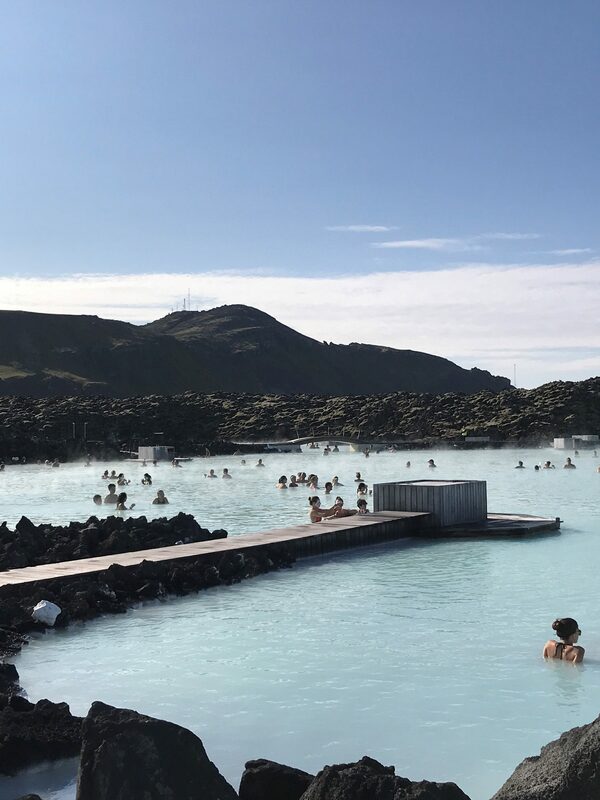 Luckily, our first, well-planned stop was to visit the Blue Lagoon. The lagoon was formed in 1976 during an operation at a nearby geothermal plant. It’s said that people began to bathe in the water and apply the mud to their skin and noticed huge improvements to skin disease such as psoriasis. It’s now considered one of the 25 Wonders of the World. I get why. We soaked in the thermal baths and enjoyed their restorative, warm waters and it nearly kicked my jet-lagged. I highly recommend this plan of action for anyone taking an overnight flight to Iceland; it works. In general, I’m a firm believer that wherever you travel, if you keep your sleeping schedule to rise and set with the sun where you are, by the next day you’ll be nearly back to normal. 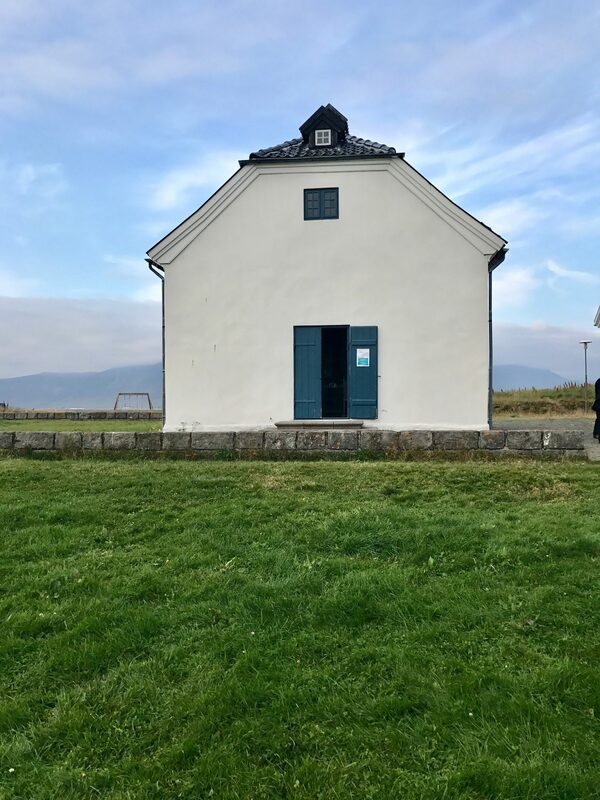 With the tour’s generous allotted time to explore, true to my word, and a lover of straying off path, I connected with my friend Margret Eir – who happens to be famous Icelandic pop star – to take me around town that night. I love exploring new cities on foot; it gives you a real understanding of how a place is laid out and a chance to meet the locals, so we did just that. Margret and I wandered downtown, where immediately I was captivated by the city’s warm people and charming shops. She also took me to her partner JJ’s barber shop, named Common Joes, which in addition to cutting hair, also acts as a visually impressive storefront where he beautifully restores antique furniture and electronics to make them compatible for present day. Reykjavík’s restaurant scene is also having a moment and Margret took me to a new, very cool and charming restaurant called Messin. The menu, like most places in Iceland (no complaints here), is very fish-driven. 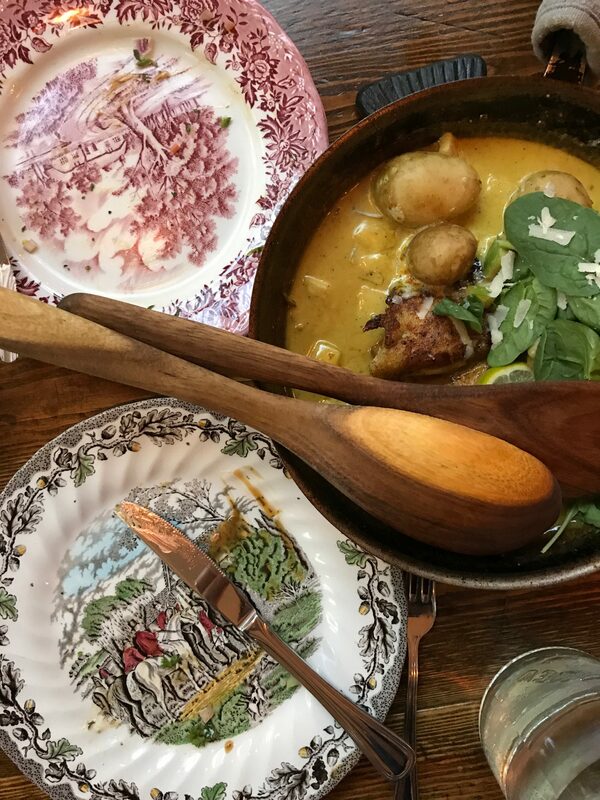 Everything is served in copper pots, family-style upon the table. We feasted on shrimp, gravlax and curried cod and sipped on white wine; it was delicious and exactly what I needed. After a few stops at some local bars (a favorite activity on any trip), I was almost on Icelandic time, and finally ready for bed. 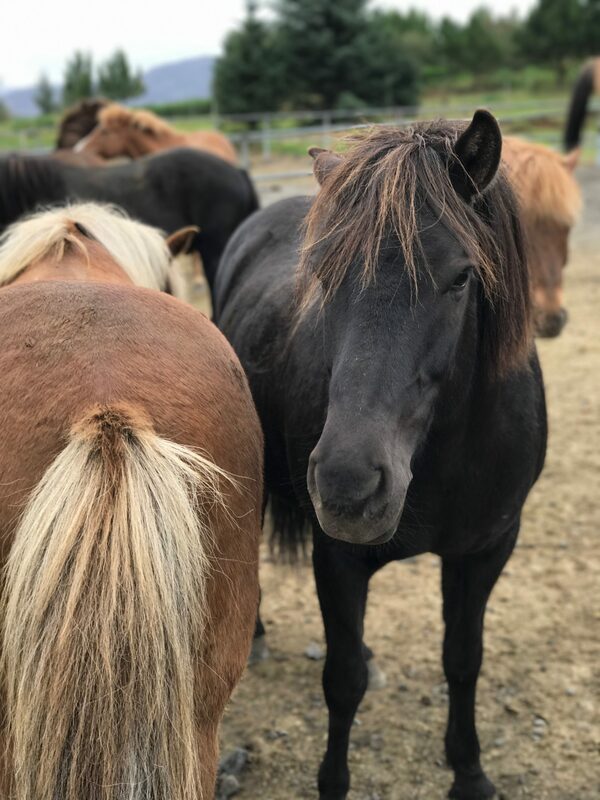 The next venture on my journey was the gift of being able to ride Icelandic horses through a lava field. The farm is situated right outside of town. These gentle beings are smaller than regular horses and the loveliest of creatures. After our ride, we headed in town for a beautiful lunch and were then treated to a nature walk just a short drive from town. Our guide brought us up to speed on the incredible eco-system of the country. Did you know that they have no mosquitoes, snakes or really other prey in Iceland? That evening, after a ferry ride to Viðey Island for dinner with a beautiful music performance by locals, I slept soundly and woke ready for the next piece of our adventure to begin. We were Greenland bound. Interested in learning more about Colu’s journey? Read more about it on AFAR.com and check out Lindblad Expeditions’ Hot Springs and Icebergs: Iceland to West Greenland tour. Colu is a food and lifestyle expert, native New Yorker, and avid home cook. Most recently, she worked as Director of Special Projects at Bon Appetit. Her writing has appeared in publications such as Refinery29, Cherry Bombe, and Wine Enthusiast. Her cookbook Back Pocket Pasta will be released by Clarkson Pottering in February 2017.